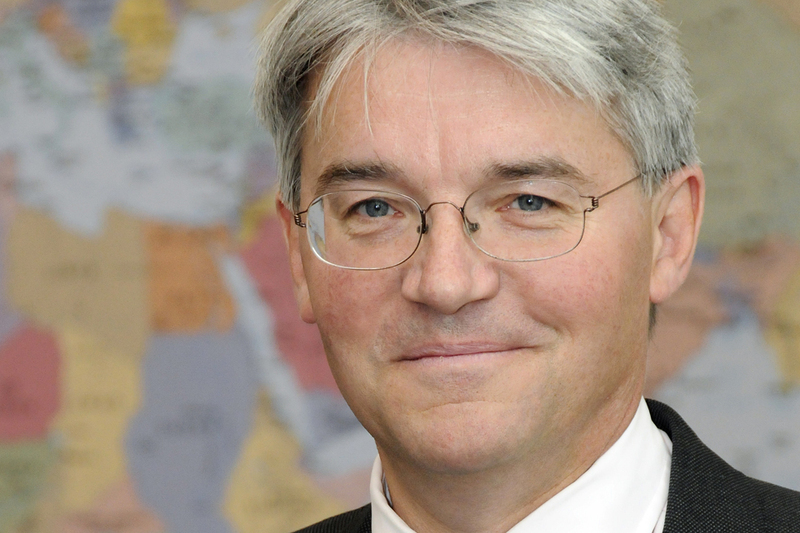 In response to the House of Lords report on the UK's aid target, Andrew Mitchell reaffirmed Britain's commitment to the world's poorest people. “We welcome the Committee’s ringing endorsement of the tough reforms the Coalition Government has made to get maximum value for money from British aid. “The British Government makes no apologies for sticking to its commitments to the world’s poorest people. The International Development Secretary has previously confirmed the UK will spend 0.7% of Gross National Income (GNI) on international development from 2013, making it the first country in the G20 to keep this promise. “…expert opinion is virtually united in agreement that DFID enjoys an outstanding reputation internationally as an effective aid agent. “I’m concerned by the Committee’s report regarding the government’s aid budget. The UK leads the world in delivering smart, targeted aid - I’ve seen for myself on the ground the incredible impact of its life-saving investments. “Abandoning the 0.7 target risks undermining the incredible progress that has been achieved over the last several years. Well-targeted UK aid has helped save millions of lives by rolling back the malaria and HIV epidemics and bringing the world closer to eradicating polio once and for all and we are on the brink of some more tremendous breakthroughs. “Scrapping the 0.7% commitment would not make aid more effective it would simply deny vital assistance to millions of poor and vulnerable people throughout the world. “Reneging on our aid promises would deprive millions of the world’s poorest people of life saving medicines, clean water and the chance to go to school. “The Committee is guilty of presenting a false choice between delivering high quality aid and increasing its quantity - the Government can and should do both. “Cutting UK aid will cost lives, threatening 1.4 million children and 50,000 mothers. “UK aid works. It is part of our DNA as a country and it is in our interest. “The Lords Committee has chosen to ignore the evidence of the impact UK aid will have. If we maintain our commitment to the 0.7% aid target, as the Chancellor and Prime Minister have promised to do, British aid will provide over 80 million children with vaccines against life-threatening diseases, saving an estimated 1.4 million lives. “It is absolutely right that aid programmes must be as smart and effective as possible, but it is simply wrong for the committee to suggest that the 0.7% target will result in a lack of focus on effectiveness and value for money. “Thanks to international aid and development efforts over the last two decades 2 billion more people now have access to life saving safe water. By meeting our international commitment to spend 0.7% of our national income on aid Britain can rightly lead from the front to champion getting water to 783 million who are still waiting for it. “This would be a landmark achievement in human history and it is just as much in Britain’s interests to be in the forefront of this effort as it was to lead the campaign to abolition of slavery. “The UK has long been seen as a leader in international development, and maintaining the pledge to deliver on the 0.7% target, which all major parties have signed up to, will enhance our ability to lead on broader questions of international development policy by joining the group of countries that meet the 0.7% threshold. “In Scandinavian countries, where the 0.7% threshold has been achieved, the discussion has shifted away from how much to give, to focus instead on how well it could be used. “The Committee also failed to understand that money spent in aid on development projects now can help minimise the amount spent on humanitarian aid in future. It is estimated that for every £1 spent on preventing disasters, £4 is saved in responding to them. “The Lords are simply wrong to call for the Government to drop this commitment. Aid is a matter of life and death for millions of people living in poverty and we are calling on the Government to stand by their promise and not be blown off course by this. “Nobody wants to see life-saving money wasted which is why we and other NGOs work so closely with the Government to ensure value for money and results for people in poverty. “You don’t break a promise you make to a child. Over the past 20 years development aid has meant that 4 million fewer children will die this year, 33 million children have had the chance to go to school for the first time and 4 million more people have access to live saving drugs for HIV/AIDS. “We welcome the Committee’s recognition that funding for international development has made a real and lasting impact. For years, VSO volunteers have seen the difference it makes in the poorest parts of the world. Millions of people have been lifted out of poverty. “With Governments around the world failing to meet the 0.7% target, it is vital that the UK sticks to its commitment and sends a strong message to the international community that cutting support to the world’s poorest people is unacceptable. “The UK’s aid programme has a long history of supporting poorer countries to lift their people out of poverty. DFID has already proven that it is able to scale up its investments whilst leading the world in terms of aid effectiveness and it should be allowed to continue to do so. From the Children’s Investment Fund Foundation’s (CIFF’s) experience, working in the development sphere offers exceptional cost effective impact and potential for transformational change at scale. We have further developed conviction that ensuring health and education benefits, as DFID is so effectively doing, is central to achieving global security and fostering the new markets that ultimately enable economic growth in developing markets as well as at home. The UK Government through DFID has embraced the conditions for high value investing–thoughtful targeting of resources, clear and effective accountability, transparency, and willingness to engage with partners who can bring the greatest impact and efficiencies to the delivery of overseas aid including, increasingly, the private sector. They have been leaders in raising the bar for the development community at large. CIFF supports and recognises their international leadership on this front and view this as a vital and highly leveraged path to ensuring both progress in the development sphere and reaping the broader benefits of security and economic growth we seek at home.